Major players like Rogers, Visa and PayPal are backing development of the 'digital wallet', a new technology that will pay your bills and buy your coffee, all from your smartphone. Digital wallets are on their way to replacing their leather counterparts for many Canadians within the next two years, according to retail and communications specialists. One thing it could change, for example, is your morning coffee ritual. David Robinson, vice-president of emerging communications at Rogers, envisions a Tim Hortons application that would know you always order a large double-double, track your location via GPS and charge your bank account before you’ve even set eyes on the restaurant. "Then," says Robinson, "you just pick it up in an express window." The smartphone-enabled wallet also allows consumers to purchase items simply by tapping their phone on a pad at the cash, much like a tap-and-pay credit card. Those cards only deal in transactions, but the possibilities for digital wallets could be endless. Big players such as Rogers, Visa and PayPal are backing the new technology, signaling its rise in the near future. The list of digital wallet capabilities is long. Every carrier and bank on the planet wants to be able to do this. New to the city and need a transit pass? You could simply purchase a pass on your phone and go. Access cards for your office building could be there, too. Receipts would be stored in the phone, and so alleviate many of the headaches of the return line. The way consumers buy alcohol or cigarettes would also change, as patrons could simply tap their phone on a pad at the cash to indicate their age to a clerk. It could even bring sweeping change to the way health-care identification works, as provincial health cards could reside on a phone in the same wallet. Test results could be emailed or explained to patients over the phone, eliminating many types of follow-up visits. Stolen, copied or forged plastic health cards would be a thing of the past. The digital wallet is a virtual representation of the real thing – except it resides in a digital device. A wireless signal known as near field communication (NFC) is at the heart of the innovation, where a chip in the device sends a signal from the phone to a payment terminal. Robinson says Canada is uniquely ready for digital wallets because the infrastructure is more developed here than in most countries. As well, Canadians are in the top four in the world for smartphone usage and often have the latest and greatest devices. Mobile payments and digital wallets are top of the development heap, says Visa Canada's Derek Colfer. "There's lots of conversations occurring between mobile network operators, device manufacturers and banks," Colfer says. "There will be a plethora of digital wallets for consumers to choose from within the next 24 months." Visa believes that once the retail backbone is established the rest will follow. Rogers' Robinson says that in a few years digital wallets will be as common as a camera is on a cellphone today. "Every carrier and bank on the planet wants to be able to do this," he says. Still, according to a report in December 2011 by the Task Force for the Payment Systems Review, Canada is still not yet where it needs to be for digital payments. The review, commissioned by Finance Minister Jim Flaherty, says that Canada has not yet implemented a digital authentication process that is both safe and easy to use — something that industry players are pushing to rectify. 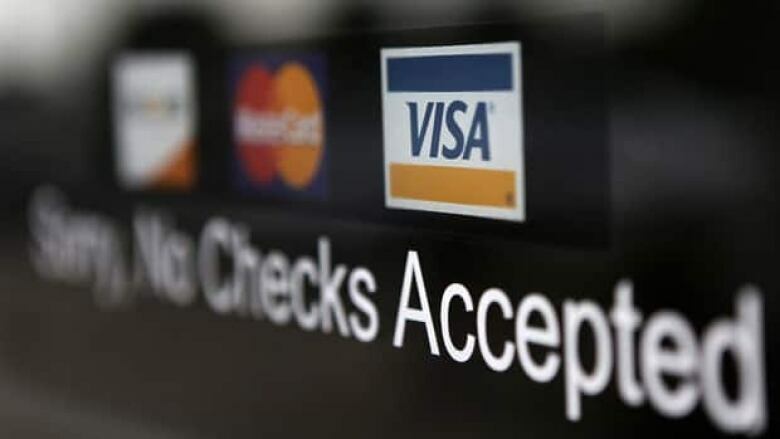 The review also states that Canadians rely too heavily on cheques, and that financial institutions could save $600 million a year in cost savings by 2020 under a digital payments system. The seeds of digital wallets have been sown already — Google and PayPal have versions set up for payment. Visa’s digital wallet works on some LG, Samsung and BlackBerry phones for direct payment, including the BlackBerry Bold 9900 and 9790 models, as well as the Curve 9360 and 9380. Robinson says RIM is the most aggressive but many handset manufacturers are developing the technology. Other phones that are already NFC-capable include the LG Optimus LTE, the HTC Ruby, and Samsung's Galaxy S II. Apple is curiously absent from the list – but many expect the company to include the feature on its next phones. "Apple is very aggressive in patents in the category," Robinson says. "They've filed all sorts of patents around NFC. So looking at that would indicate that they're going to do something." Every developer says security is a huge issue for consumers. Research conducted for PayPal Canada found that 43 per cent of people don't trust their smartphone to keep their personal information secure, and more than 80 per cent worry about financial privacy while making mobile transactions. But the developers of digital wallets believe they will be even more secure than traditional ones. "If there is a transaction that occurs on an e-commerce site that you didn't make, you will not pay for it," says Colfer. And no need to panic and call a dozen card issuers if your digital wallet is lost. "One of the services we'll provide as carriers is we'll inform all issuers simultaneously that the cards have been compromised, and then issuers will be able to lock those accounts," Robinson says. Then, new phone in hand, a person could piece their wallet back together just tapping on a screen and making some phone calls from an NFC-capable device – a much quicker ordeal. Smartphone providers won't have detailed credit card information. Instead, they'll have a record that an account exists on a particular device. "When we put a card in secure memory, no one has access to that information other than the issuers," Robinson says.